Article by Pennell and Sheehan about memorial programs targeting children in Britain, New Zealand and Australia and how they risk driving out the possibility of thoughtful consideration of war. ‘[W]e need’, the authors say, ‘to equip and encourage young people to engage critically as well as emotionally with [the Great War] and with what it might say to us in the 21st century’. Exchange of correspondence with Chairman of the Council about Honest History’s offer to make a presentation to the Council on Honest History’s Alternative Guide to the Memorial. Matthew Sharpe writes in The Conversation on the impact of the slaughter on the Somme on various aspects of intellectual life, including definitions of courage and masculinity. This post brings together a new anti-war song called ‘Dandelions’, a revised donations policy that uses tear stains as an indicator, and some pointed remarks about sponsorship of commemoration. Update 15 June 2016: Two invasions in Australian history: can we now stop using euphemisms about 25 April 1915? Now that there is bipartisan agreement that 26 January 1788 was an ‘invasion’ can we stop calling 25 April 1915 a ‘landing’? Anzac centenary minister Tehan makes announcements but not many speeches on record yet: will there be blood? Since the Minister reported to Parliament on Anzac commemoration this year, he has made speeches to the Vietnam Veterans’ Association and to the New South Wales Branch of the RSL. He made some announcements relevant to veterans until the caretaker conventions suspended his website. He may also have spoken at the RSL National Conference yesterday though he was not featured on the draft program. We understand that the Minister speaks from notes and his words are transcribed later. We look forward to reading them online and will look particularly for what he has said to the RSL. The Minister’s predecessor but one, Senator Michael Ronaldson, was notable for the bloodthirstiness of his remarks to RSL conferences though it was unclear whether the Minister was driven by his own predilections or by the environment of the speeches. At a time when we will be reminded constantly of the bloodiness of the Somme, of Fromelles and of Pozières, it is worth pausing for a moment to consider blood and commemoration. The defence of Anzac Day commemoration – as common in the 1920s as today – turns on some fairly familiar arguments [says the historian Frank Bongiorno]. It does not glorify war; it does not cultivate hatred; it is about honouring and remembering, not celebrating. Yet a sense of sacred nationhood created through the blood sacrifice of young men remains at its core today, as in 1916. Is this not to glorify war? Minister Tehan could set a welcome trend by steering away from the blood sacrifice theme. The Minister could also perform an important service by spelling out exactly how the Australia of the day did the wrong thing by returning Vietnam veterans. Statements like the one in his joint media release on the repatriation of bodies from Asian cemeteries – ‘As a country we could have done more to honour that debt to our Vietnam veterans and today’s repatriation is a chance to right that historical wrong’ – are vague and question-begging (though standard fare for recent ministers) and can reignite half-remembered (and sometimes misremembered) slights from decades ago. There is now plenty of evidence about what happened then (much less public antipathy to returning men than some legends suggest but significant negligence and bloody-mindedness from the then Repatriation Commission and parts of the RSL). The Minister could make a considered speech setting the record straight. There will be opportunities for him to do just that during commemorations of Australia’s Vietnam involvement, which will centre around the 50th anniversary of the Battle of Long Tan in August. 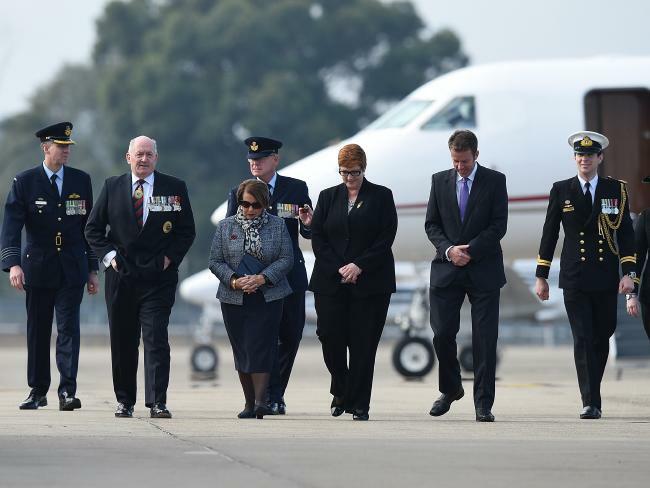 People who have been following Australia’s commemorations of the Anzac centenary and the ‘century of service’ will be interested to see how the Vietnam commemorations are handled and whether the focus on Vietnam this year signals a shift away from the ‘Peak Anzac’ of 2015 and a less intense couple of years coming up. It is difficult to see how even rusted-on Anzackers could keep up the pace until November 2018. Update 7 June 2016. It was disappointing to see that both the Prime Minister and the Leader of the Opposition used formulaic, vague words about the Vietnam era. The Prime Minister said: ‘When we look back at Australia’s treatment of veterans, the sad fact is that our actions have not always matched the best of intentions’. Mr Shorten said: ‘I wonder if our absence that day [repatriation of Vietnam dead], inevitably carried the sad echo of a lack of respect from governments past. An uncomfortable reminder of the old indignities inflicted on Australians who had answered their nation’s call.’ Perhaps one or both of them should make the thoughtful, evidence-based speech suggested above. A 16-year-old lad, Jack Cornwell, was mortally wounded during the battle, and to encourage the others – and to deflect criticism – was awarded the Victoria Cross. There is no record he did anything brave, but a hero was needed for war propaganda purposes … There is nothing like building up a heroic myth to disguise a military failure (or at best a stalemate) and to deflect the question of why so many British lives were sacrificed for strategic interest and to maintain “honour”. No Glory also has information about the centenary of the Battle of the Somme (which is happening about now), including a link to details about a new pamphlet by Neil Faulkner called Have You Forgotten Yet? (cheap), some videos and poetry readings and information about a concert in London on 19 June, if you are heading that way. ‘It’s time’, says Faulkner, ‘to challenge the rash of historians seeking to rewrite the history of 1916’s Battle of the Somme, claiming the British generals were lions not donkeys, and that British losses were a vital step in winning the First World War’. For those who measure the impact of war in raw statistics, on 1 July 1916, the first day of the Somme offensive, there were some 60 000 British casualties, including one-third killed. The five months of the offensive saw more than 600 000 Empire and French and 500 000 German casualties. Another way of measuring the impact of war, though, is by how attitudes, once entrenched, are hard to shift. 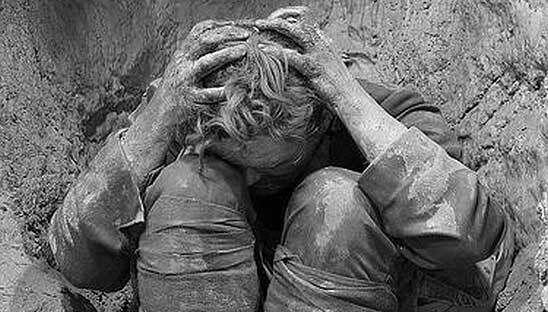 No Glory includes a review of a new book, Breakdown: The Crisis of Shell Shock on the Somme, 1916, by Taylor Downing. The book notes the reaction of British General Gough to battle trauma. Gough wrote it was ‘inconceivable’ that soldiers who refused to fight could ‘degrade themselves in such a manner’ and ‘show an utter want of manly spirit’. ‘Offenders’ were demoted and publicly humiliated. Though attitudes in the army have come a long way [says reviewer Matthew Green], Gough’s bulldog response lingers today in the stigma that prevents many soldiers from seeking help for post-traumatic stress disorder, our modern conceptualisation of the psychic cost of war. A century after the slaughter of the trenches, Downing’s book is a necessary reminder that trauma is an injury, and not a sign of weakness. Update 8 June 2016: the link below to the statement of expectations has now been broken. Presumably the dead parrot is being disposed of, having been drawn attention to by our news item. Still a good story. There has been a Canberra convention for many years for responsible ministers to send ‘charter letters’ or ‘statements of expectations’ to statutory authorities within their portfolios. These documents set out what the Minister expects of the authority, within the terms of its Act but taking account of the priorities of the government of the day. New letters generally follow a change of government, sometimes a change of minister. There is a statement of expectations on the website of the Australian War Memorial. It commences thus: ‘On behalf of Government I set out below my expectations of the Australian War Memorial’. The problem is that there is no indication of who ‘I’ is. The words at the foot of the statement are ‘Minister for Veterans’ Affairs’ but no name is given. Nor does the statement have a date. There is a clue, however, in the final sentence of the statement: ‘The financial management of the Memorial will be in accordance with the requirements of the Commonwealth Authorities and Companies Act 1997, Australian Accounting Standards and Finance Minister’s Orders’. The problem here is that ‘the CAC Act’, as it was known, was repealed by the Public Governance, Performance and Accountability (Consequential and Transitional Provisions) Act 2014 with effect from 1 July 2014. In other words, the Act in accordance with which the Memorial’s statement of expectations says the Memorial manages its finances has been defunct for almost two years. It has been, like Monty Python’s parrot, a dead Act. It is impossible to tell which Minister it is whose statement of expectations originally relied on the (now) dead parrot Act and which has now been preserved (like the dead parrot) on the Memorial’s website. It could be any Minister for Veterans’ Affairs since the CAC Act came into effect in 1997 – there have been nine such Ministers in that time. 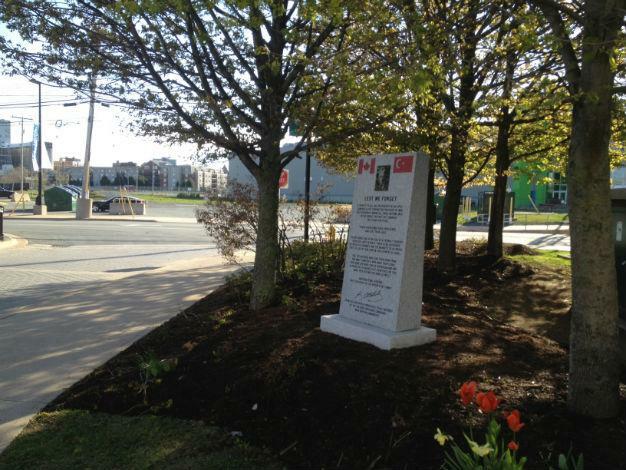 At some point perhaps the current Minister will send the Memorial a new statement of expectations which will include a reference to the correct and current Act, the Public Governance, Performance and Accountability Act 2013. Honest History has researched the history of the alleged words of Mustafa Kemal (Ataturk) commencing ‘Those heroes that shed their blood’. We have found no strong evidence that the words were ever said or written by Ataturk. Nevertheless, the words provide comfort around the world, most recently in Halifax, Nova Scotia. The Turkish English language newspaper Hurriyet Daily News refers to Ataturk’s words ‘for the mothers of Australian and New Zealander troops’. Elsewhere on the Honest History site this time around you will find: an analysis of the membership of the Australian War Memorial Council, the people who tend the flame; an argument about striking the appropriate balance in Australian history; a story about a documentary about to be made on Sir John Monash; our new series, ‘Divided sunburnt country’, about the home front during the Great War.